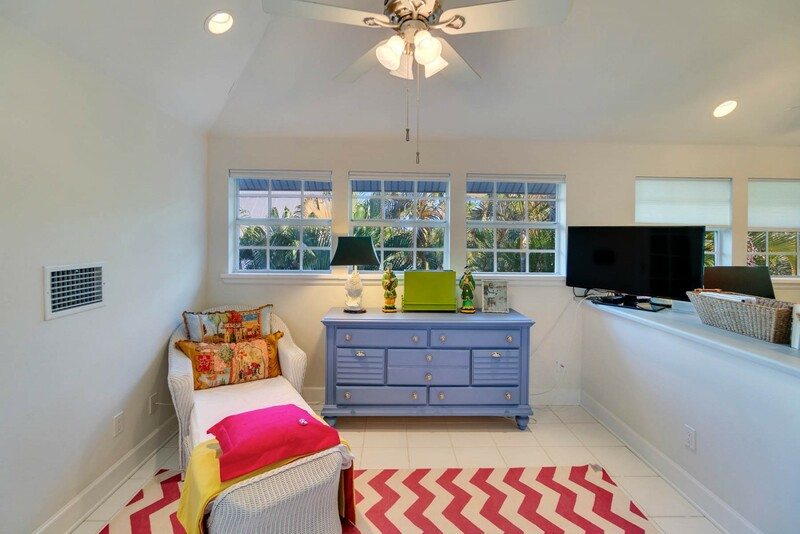 Cottage #515, “St. 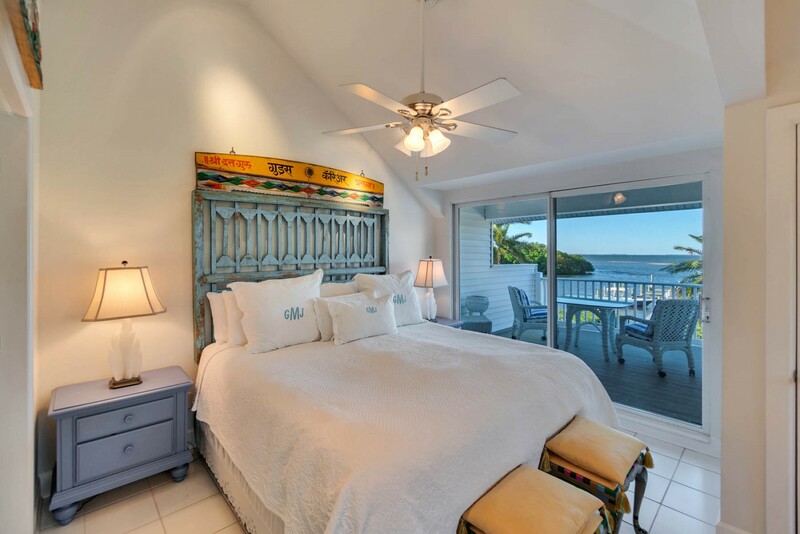 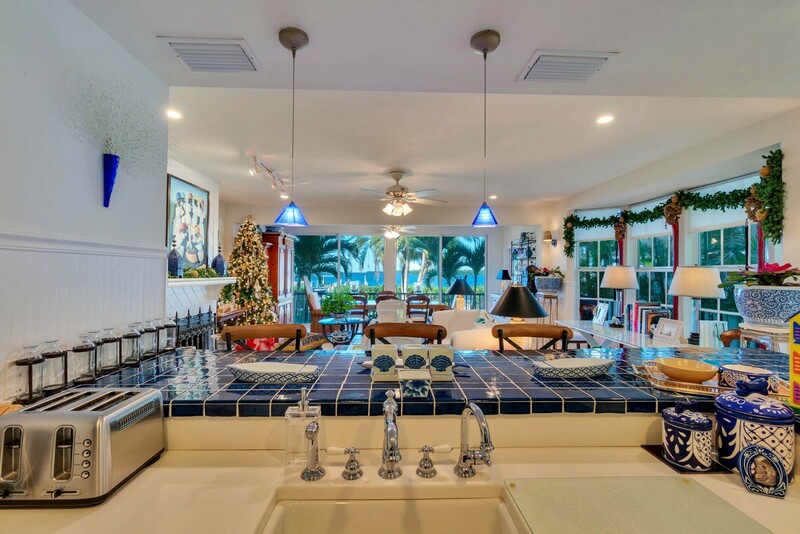 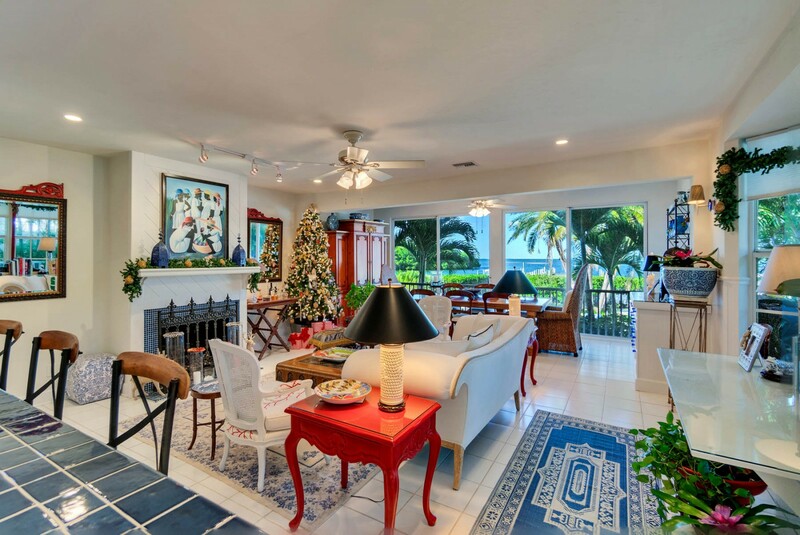 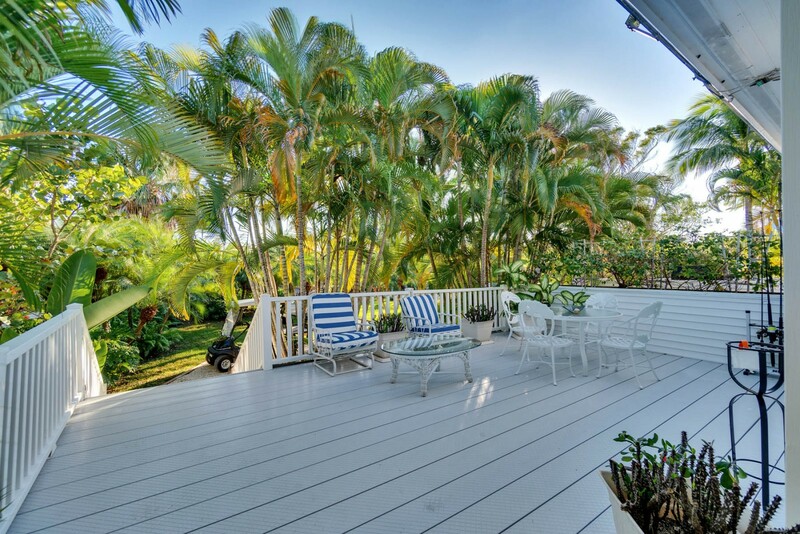 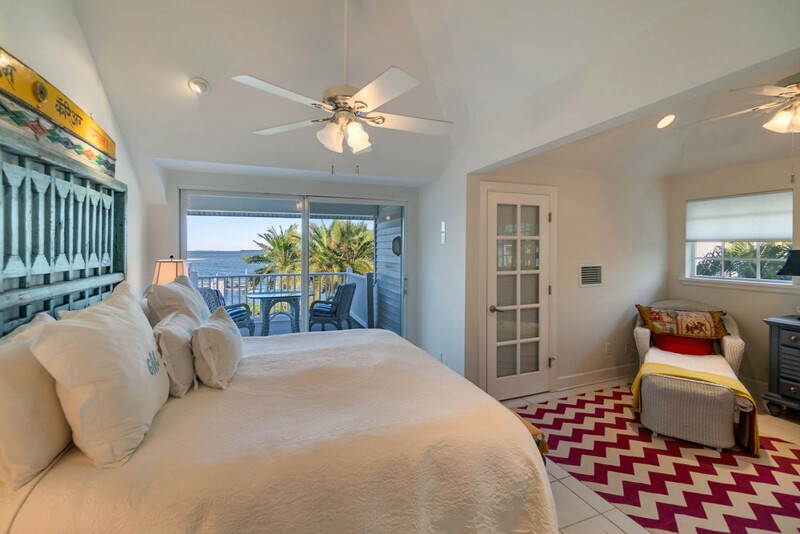 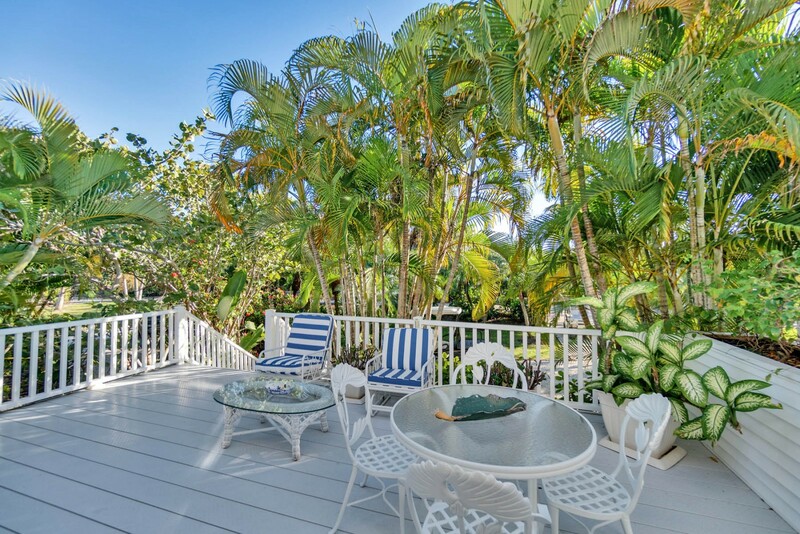 Somewhere Haus” is a three-bedroom, two bath waterfront villa which has been recently renovated and refreshed with a tasteful and elegant eye. 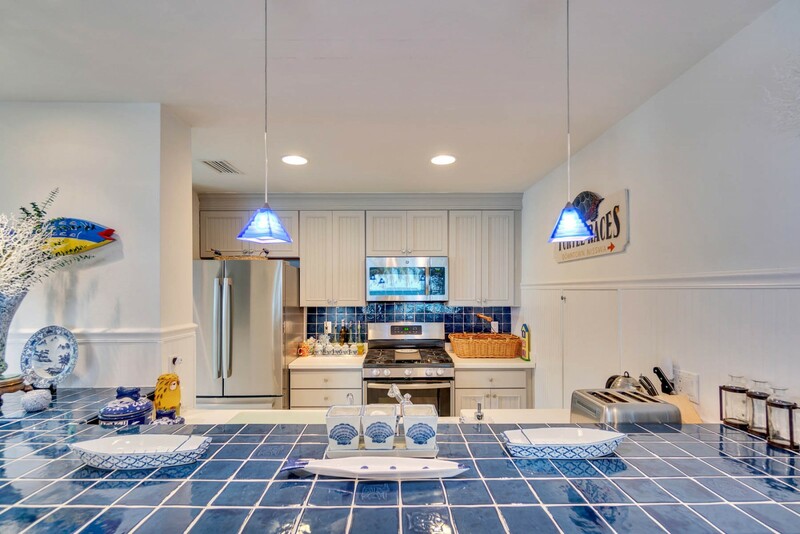 The interior has been professionally decorated with beautiful blue & whites that are complemented with rustic and unique furnishings. 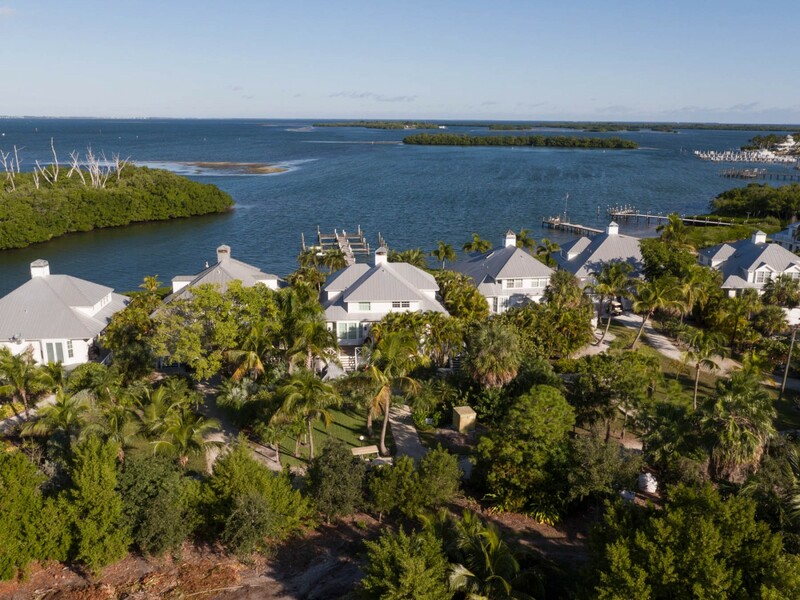 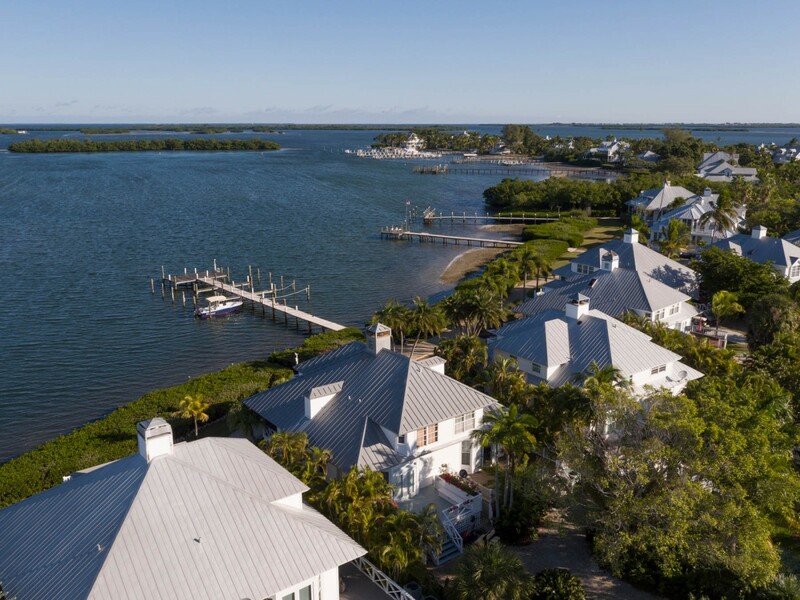 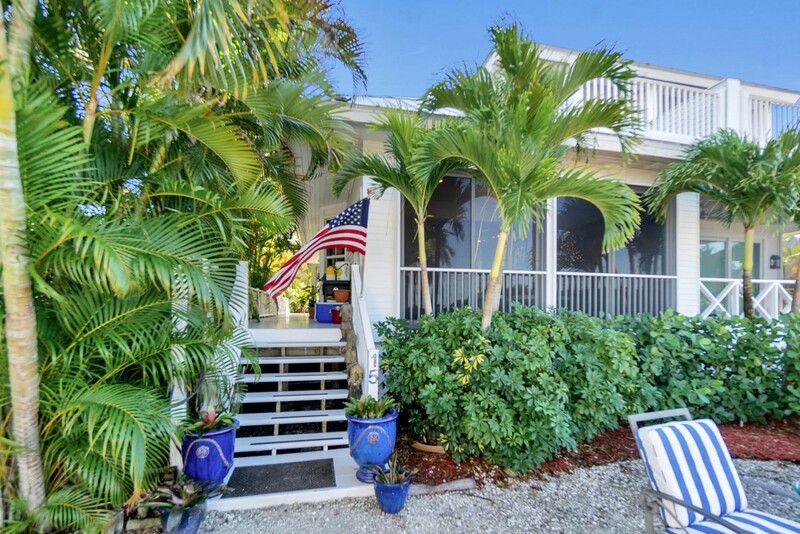 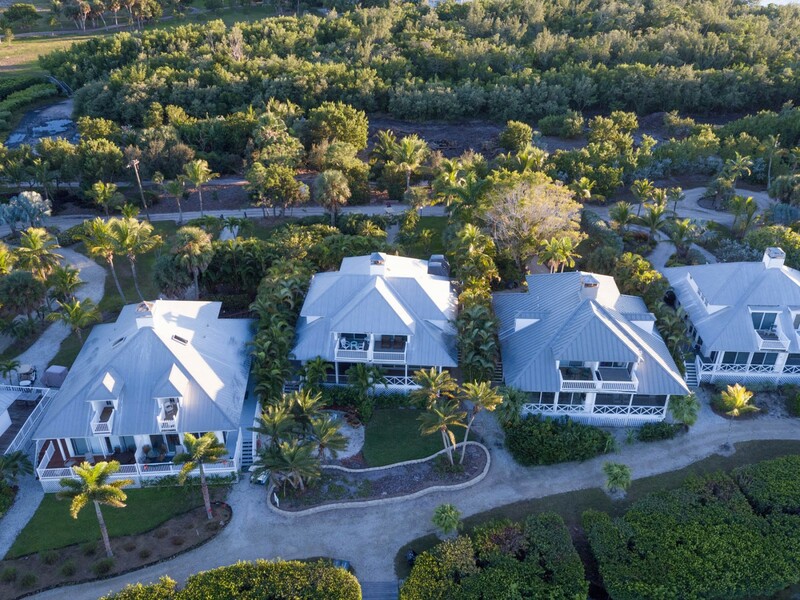 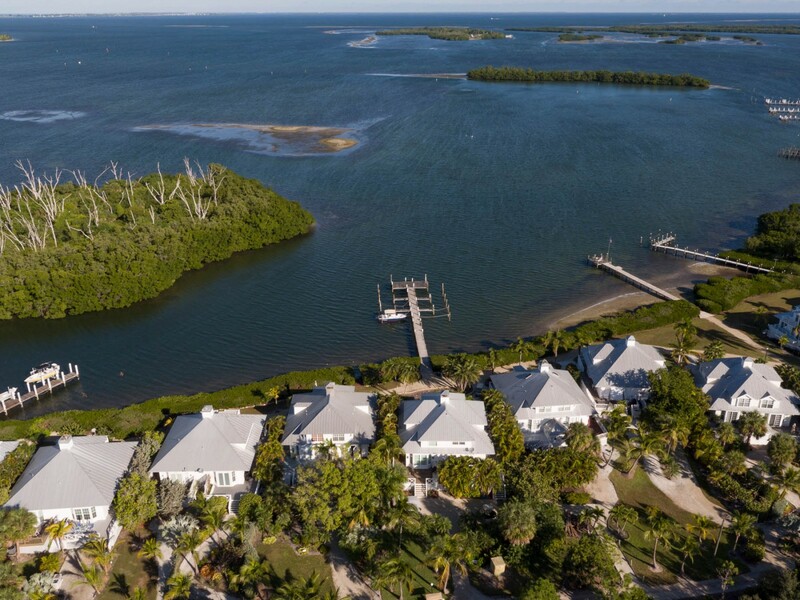 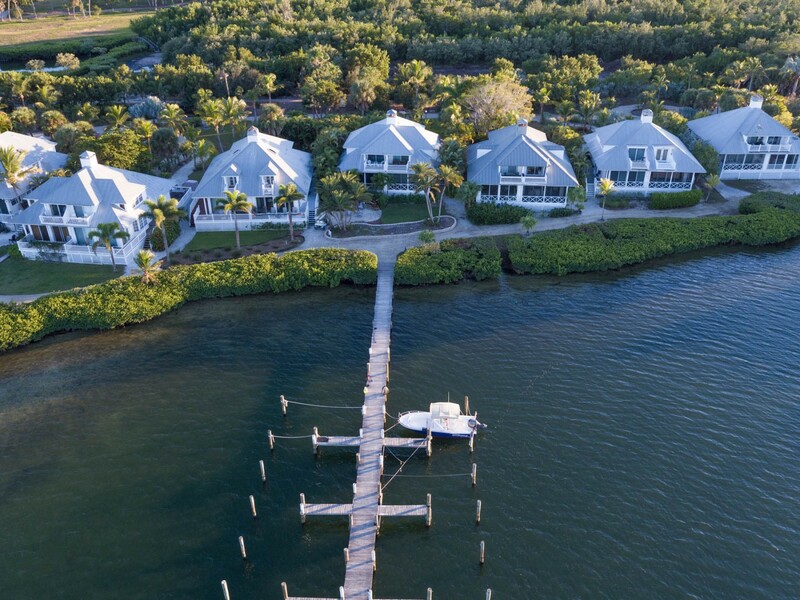 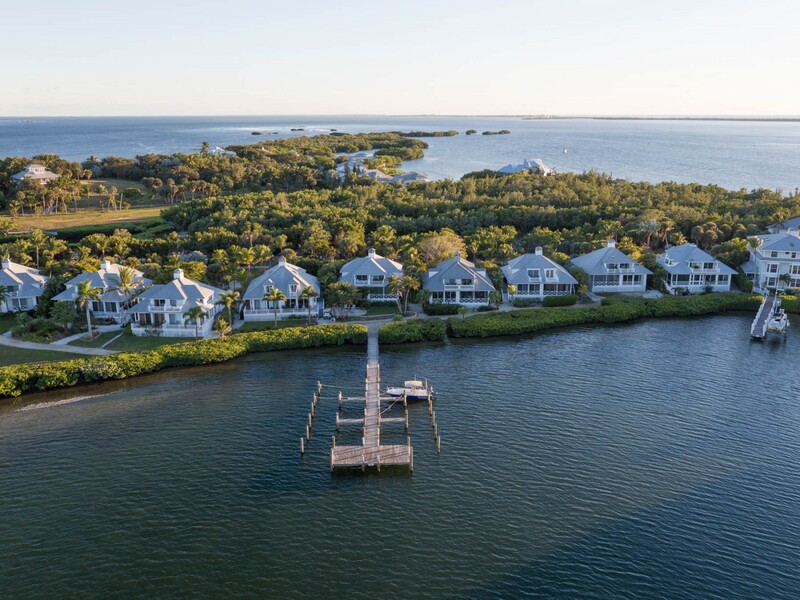 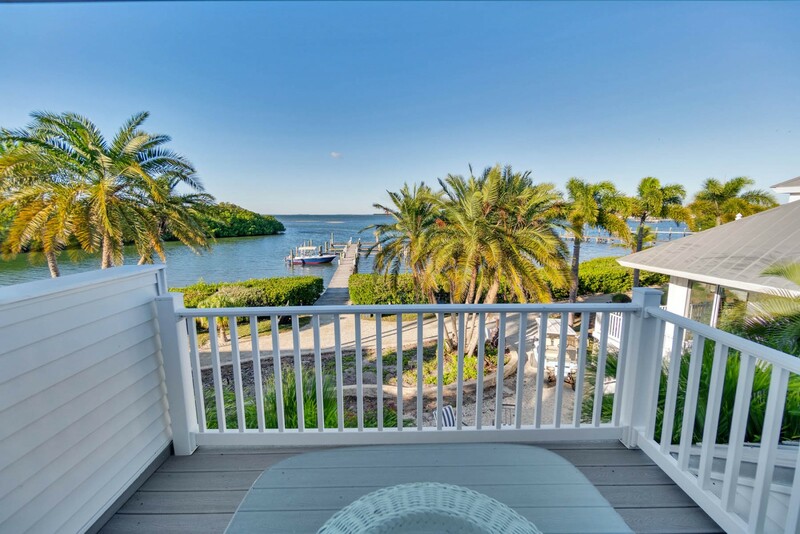 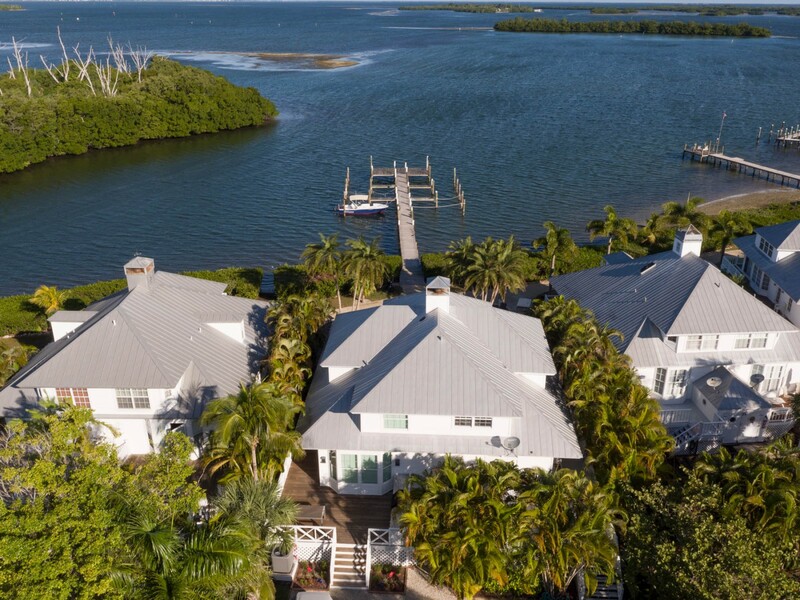 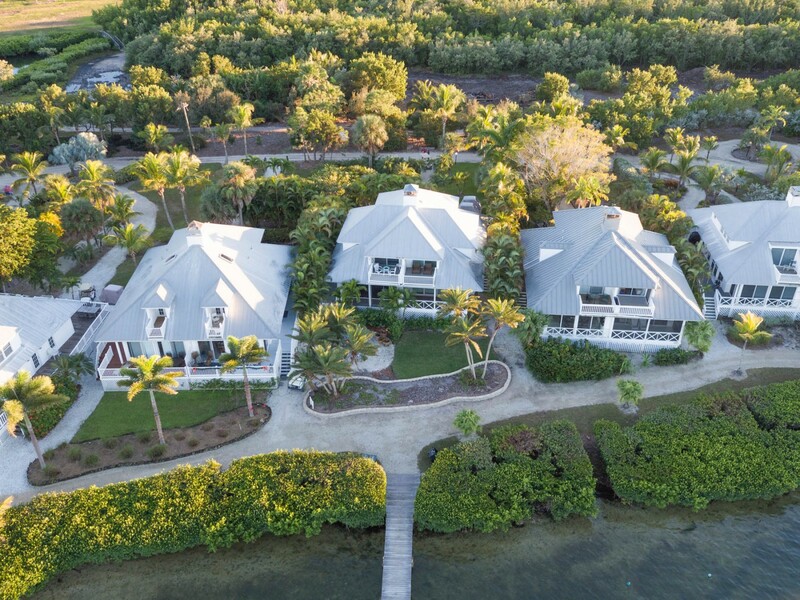 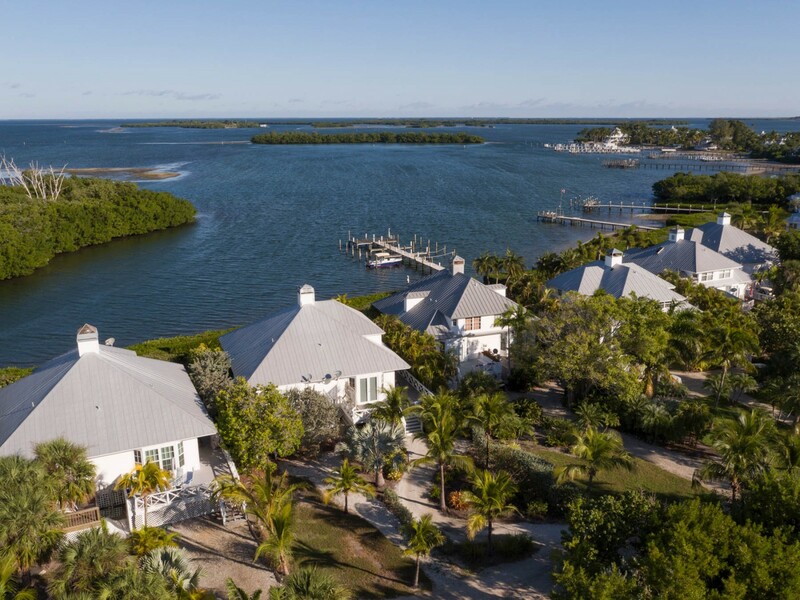 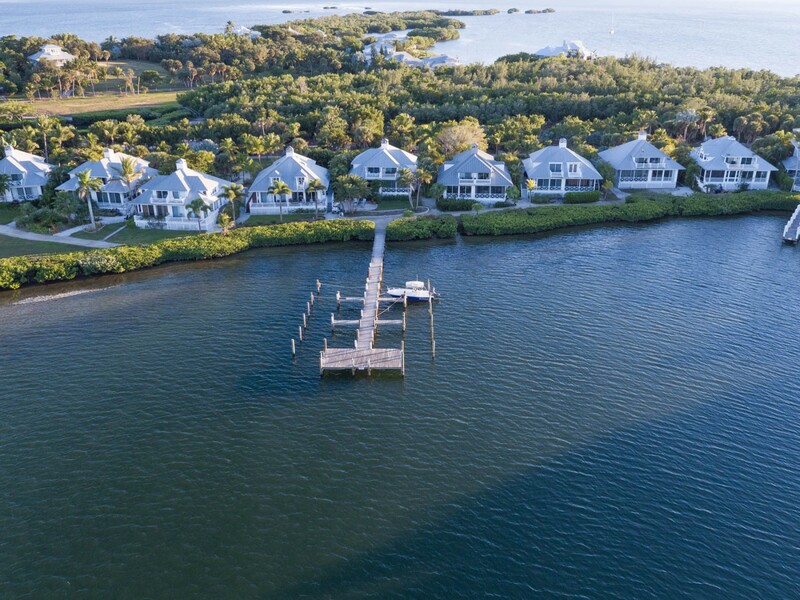 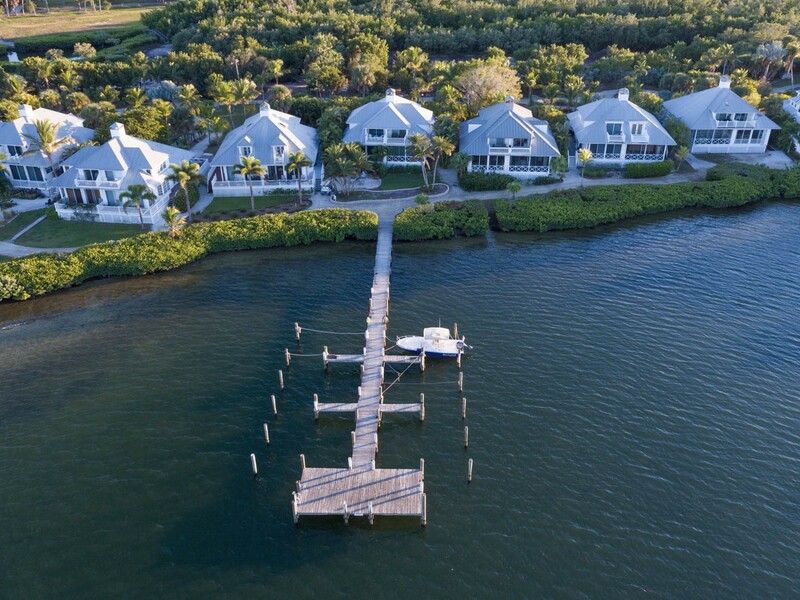 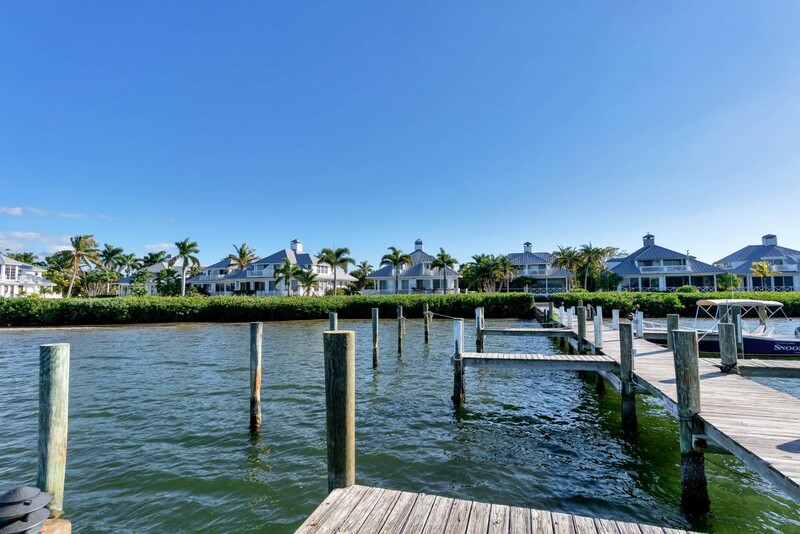 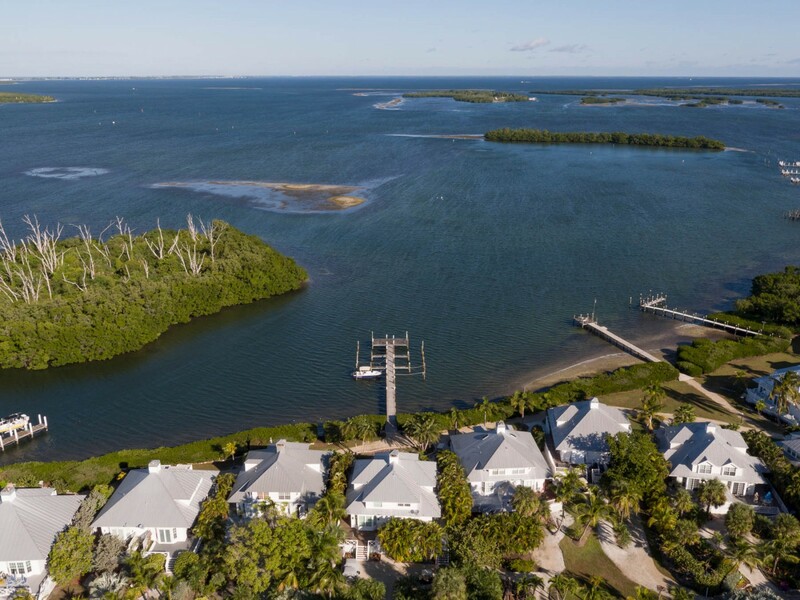 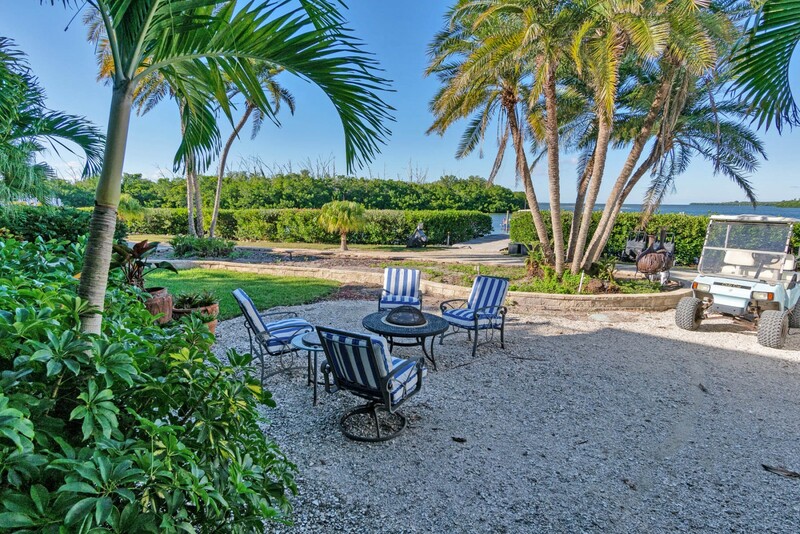 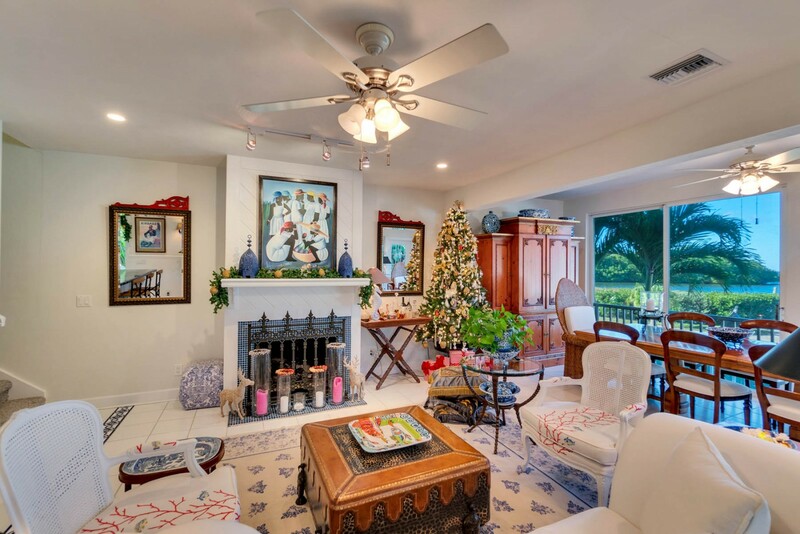 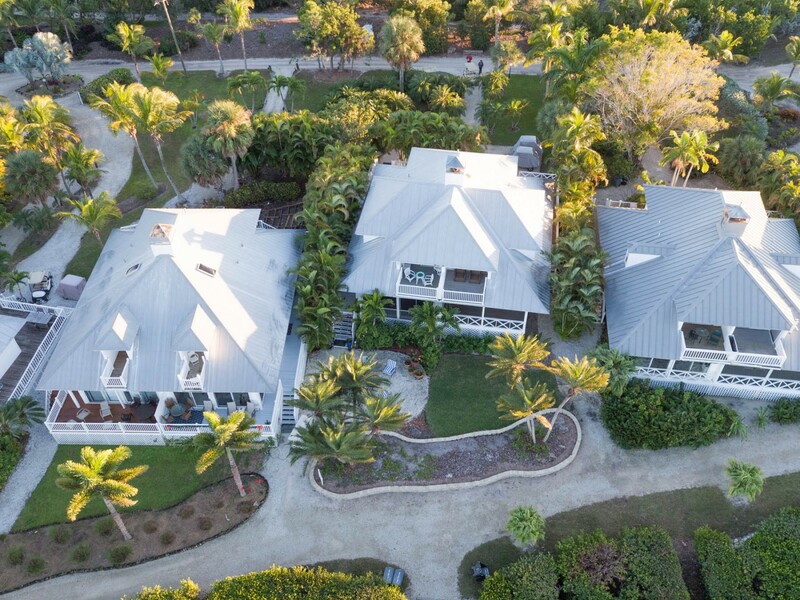 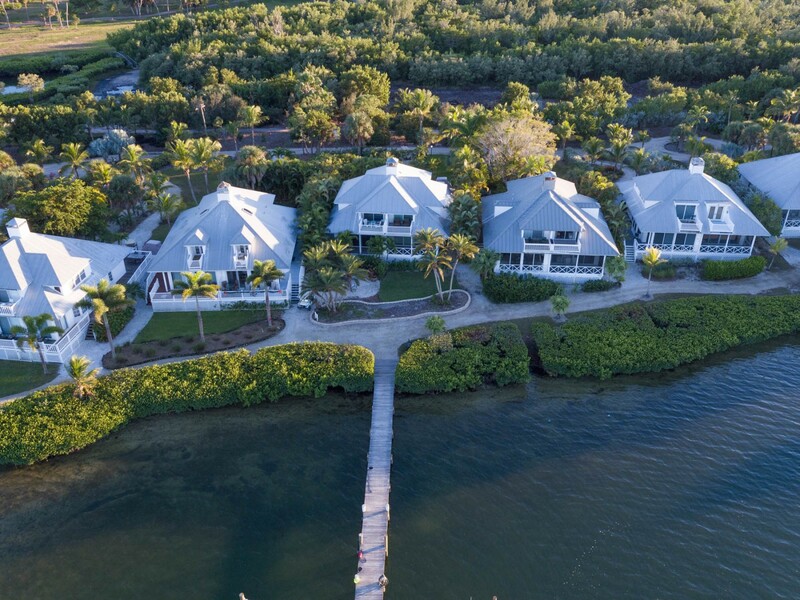 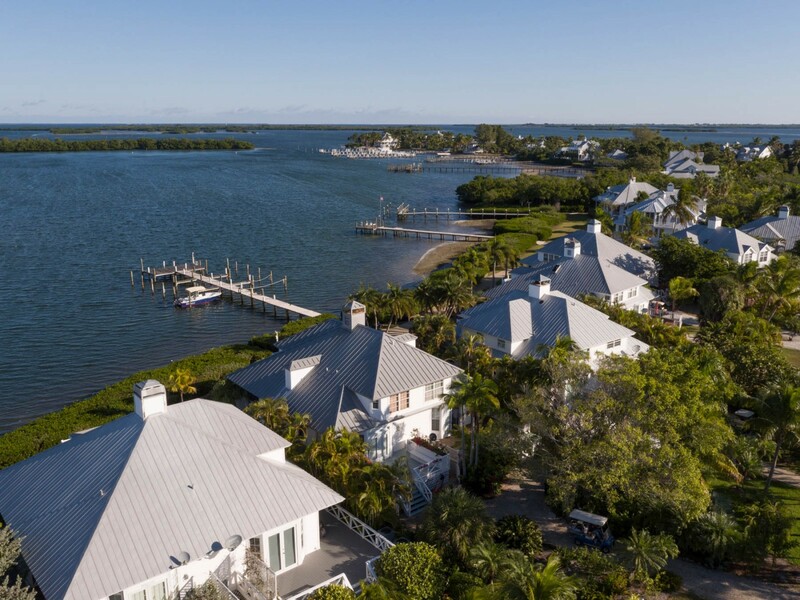 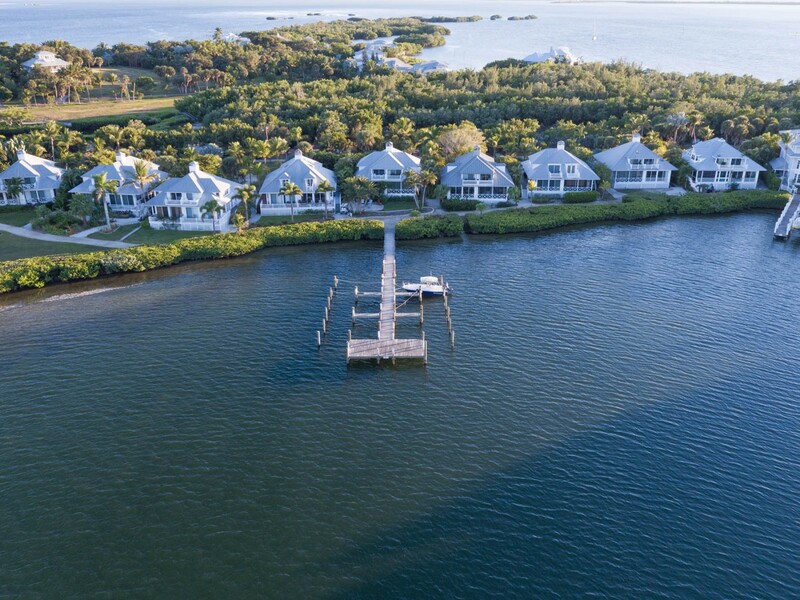 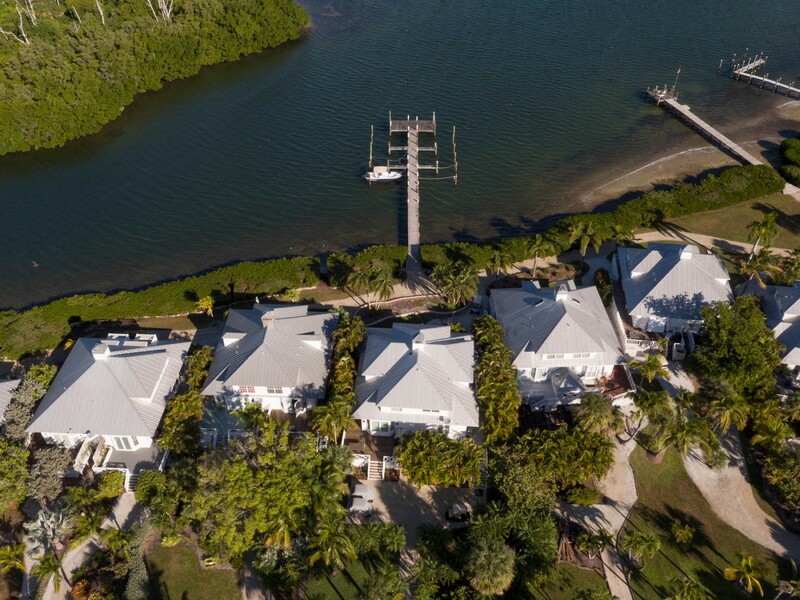 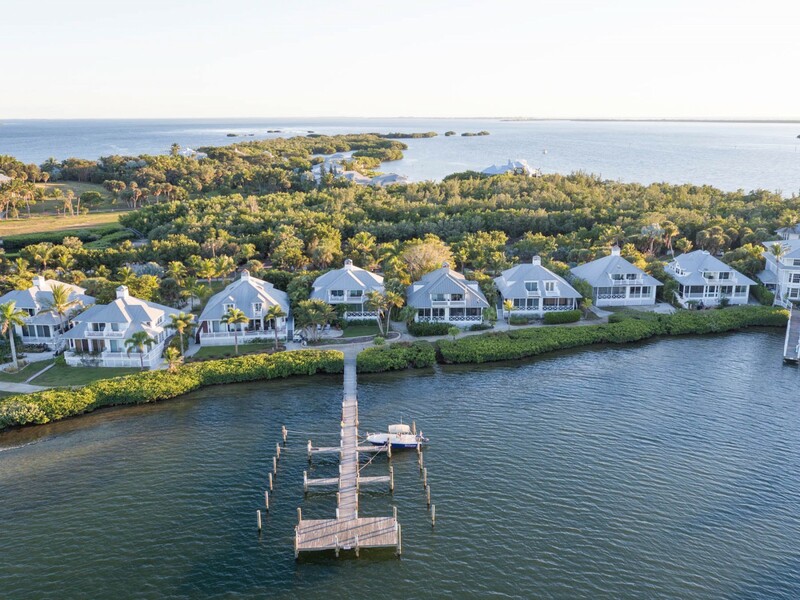 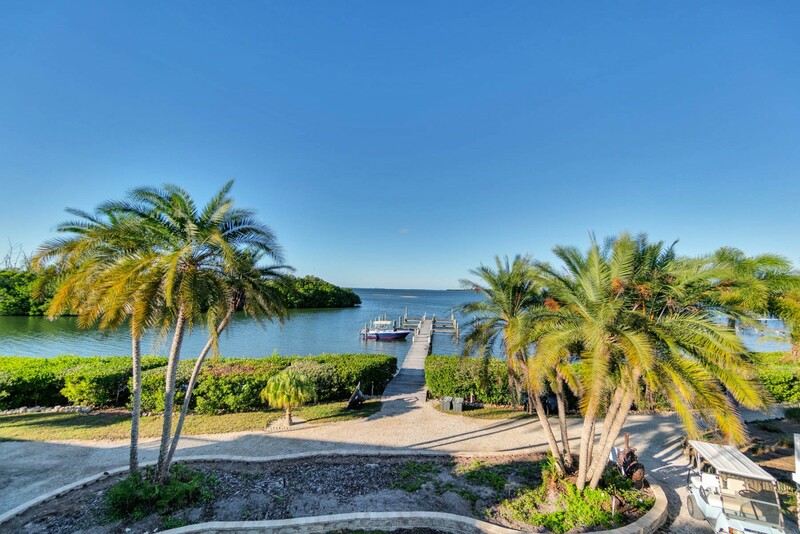 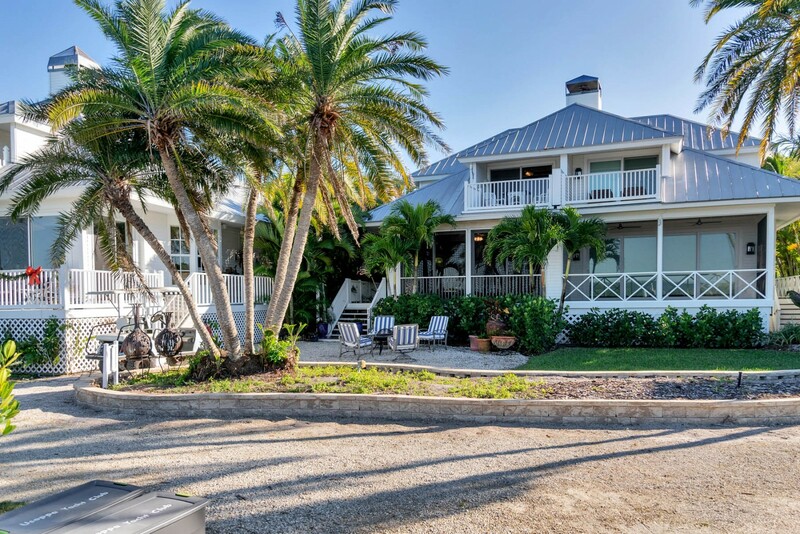 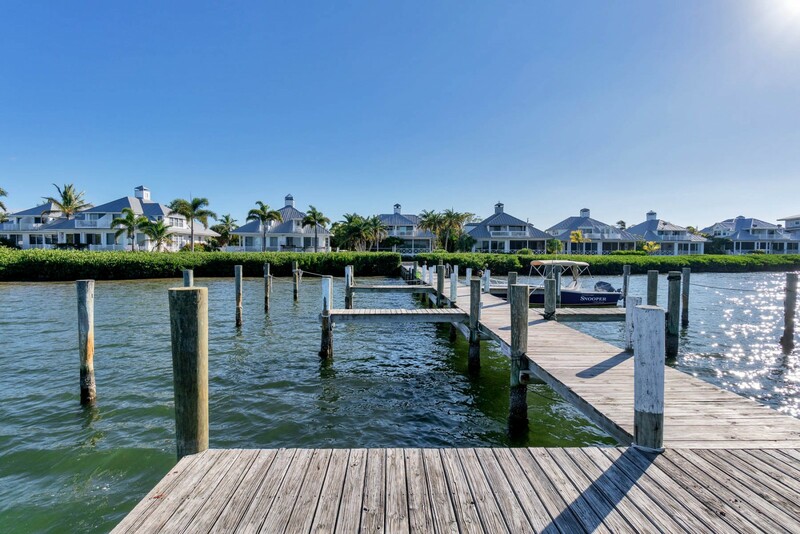 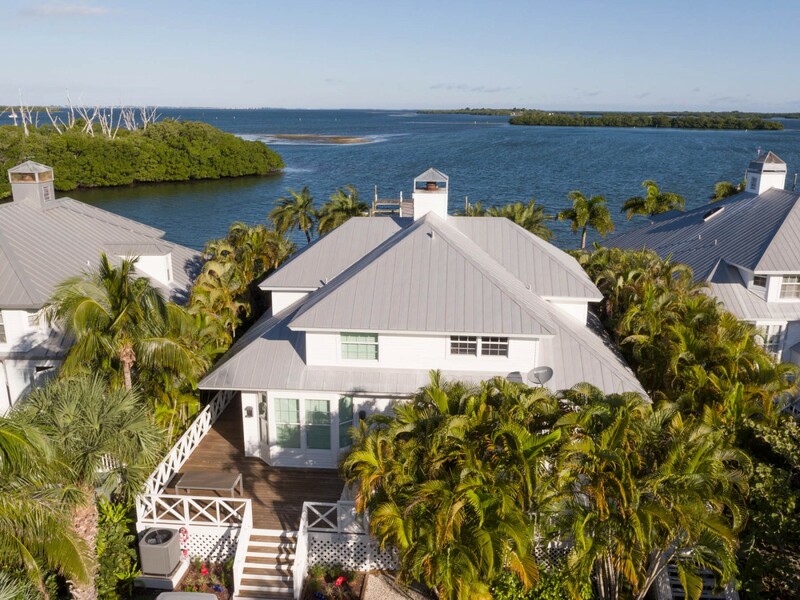 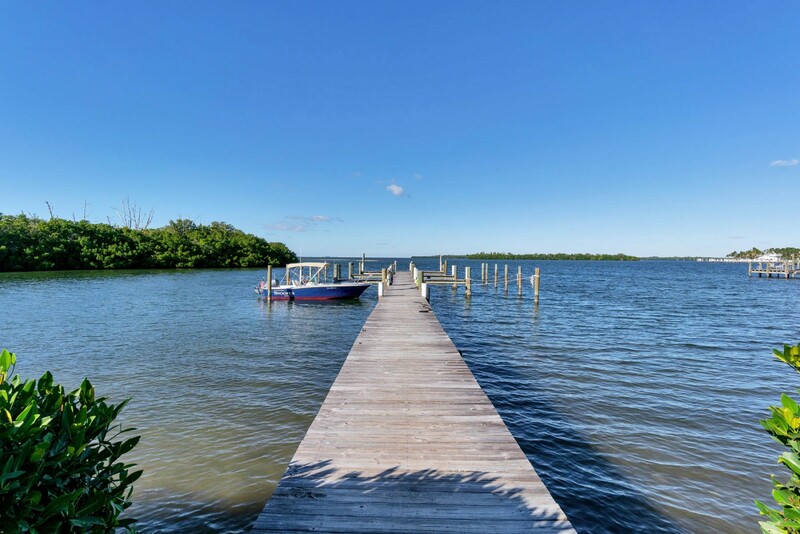 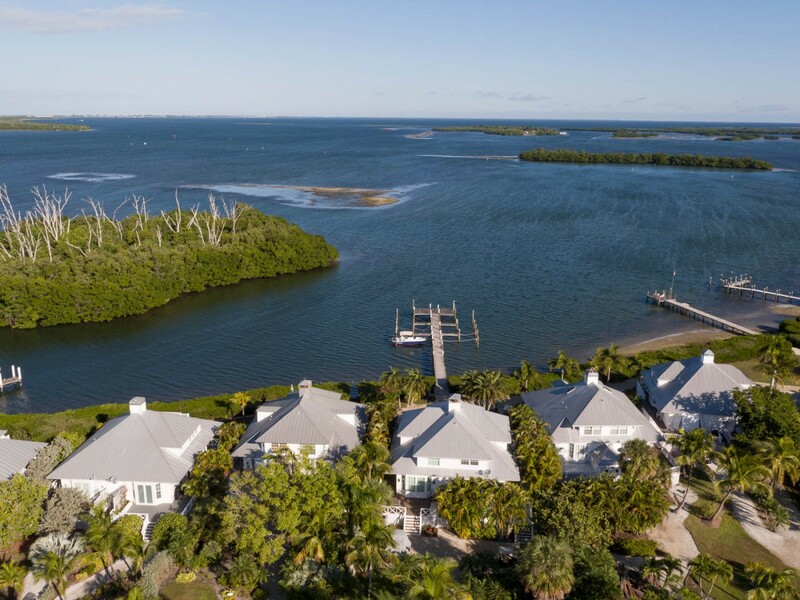 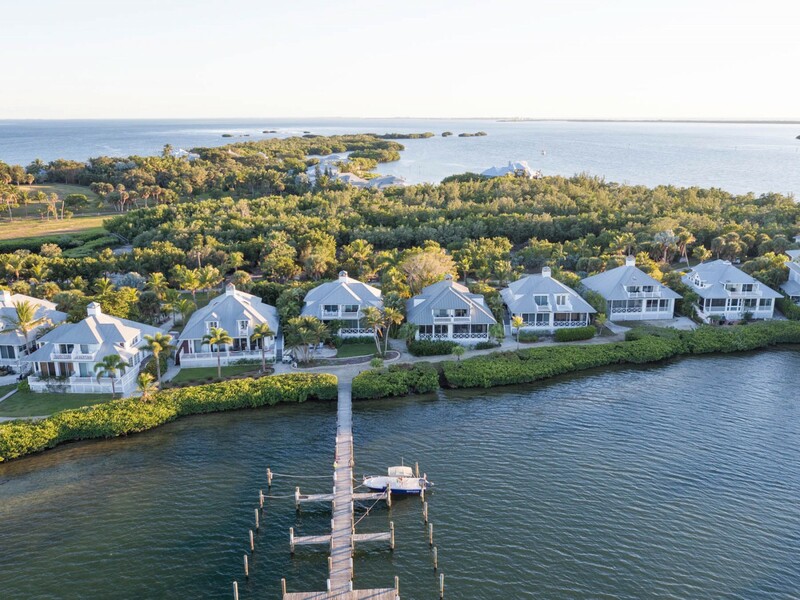 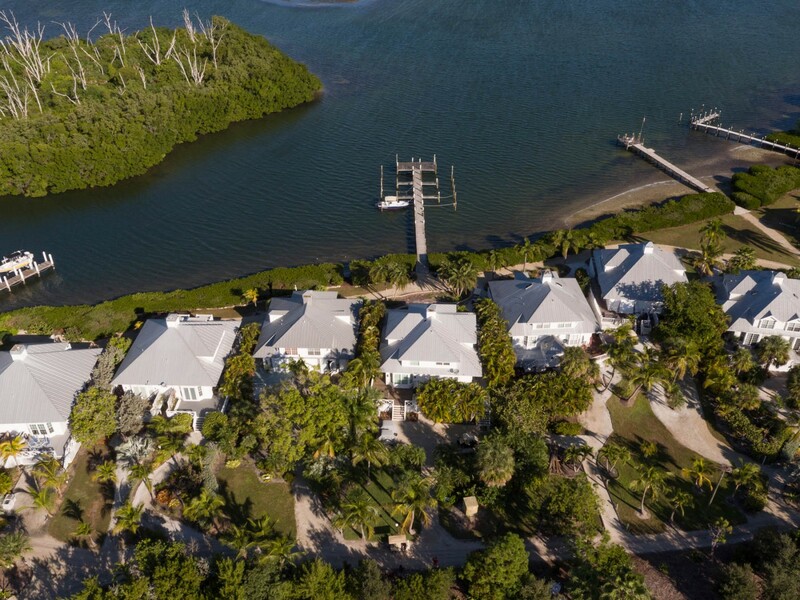 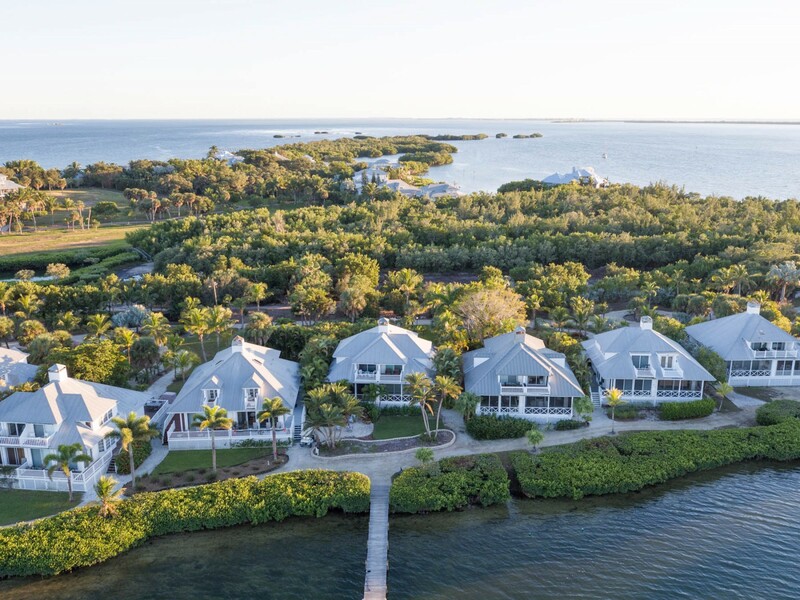 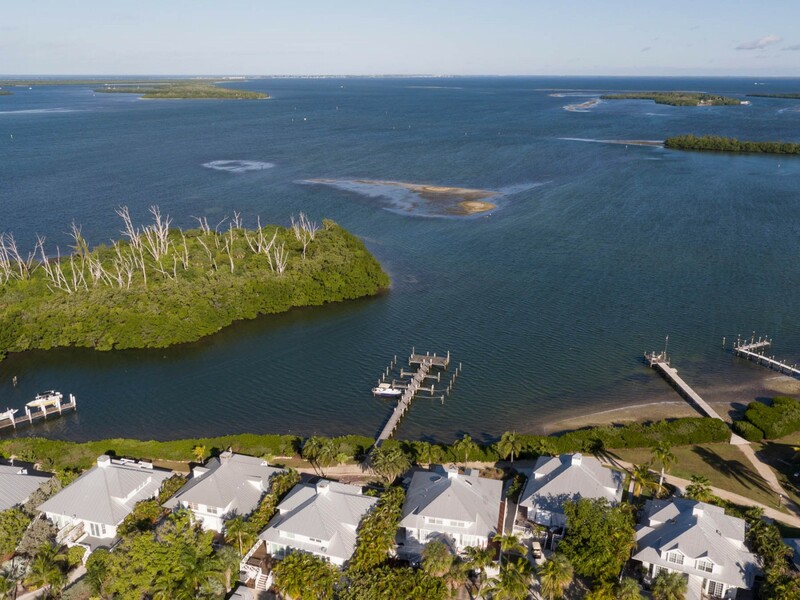 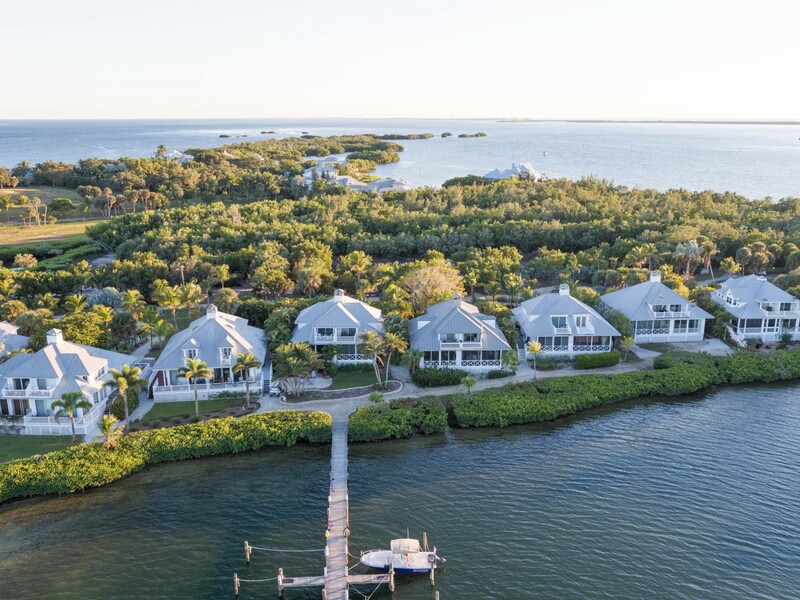 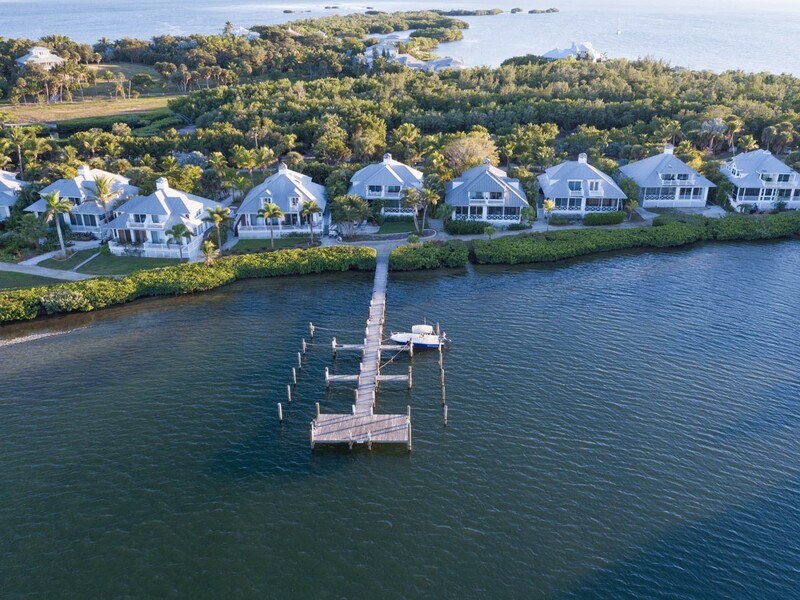 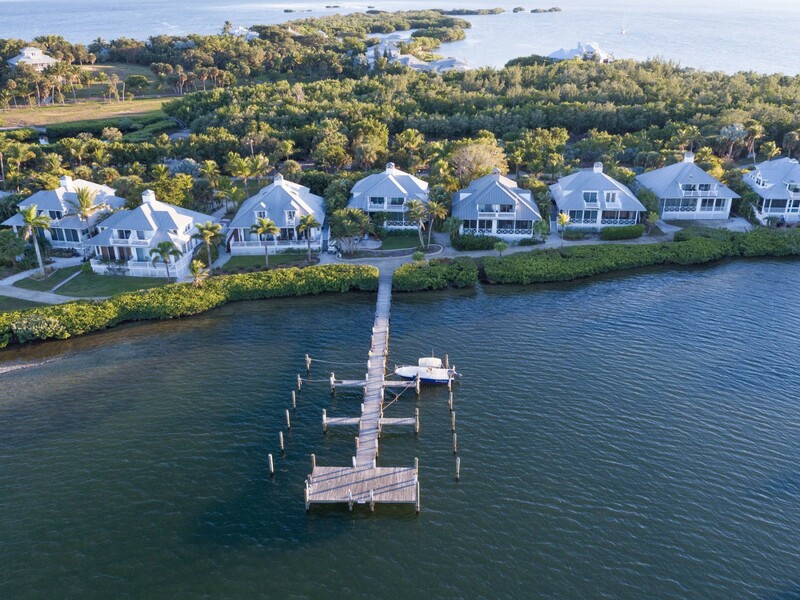 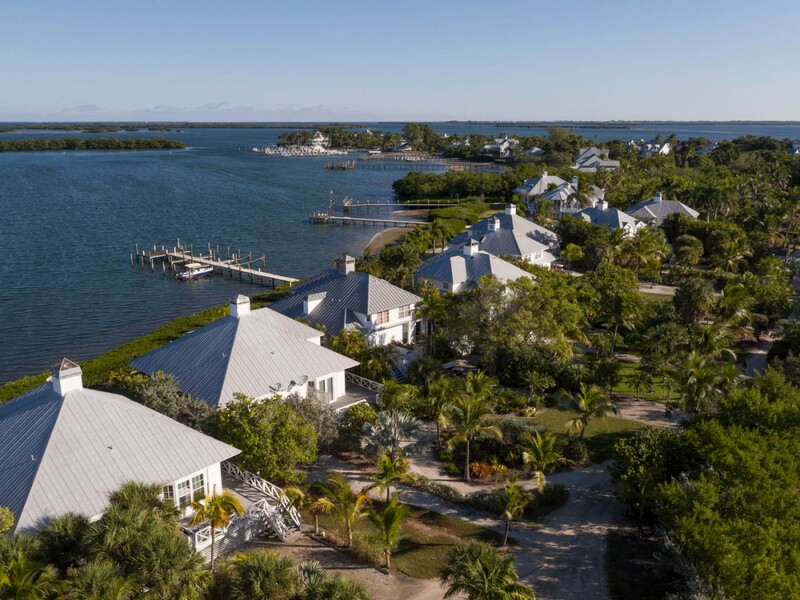 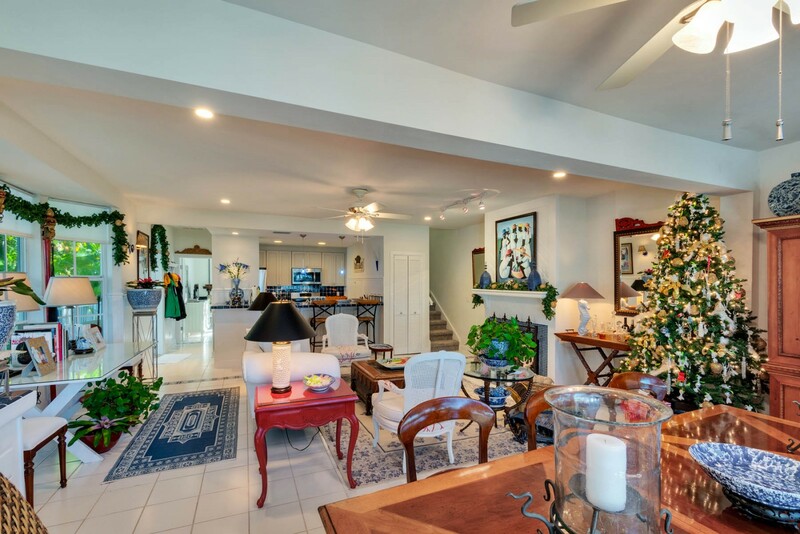 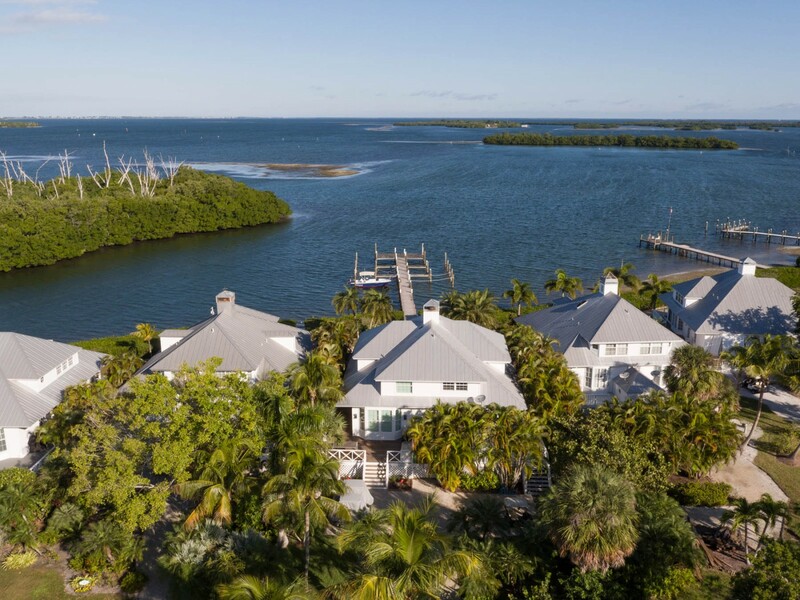 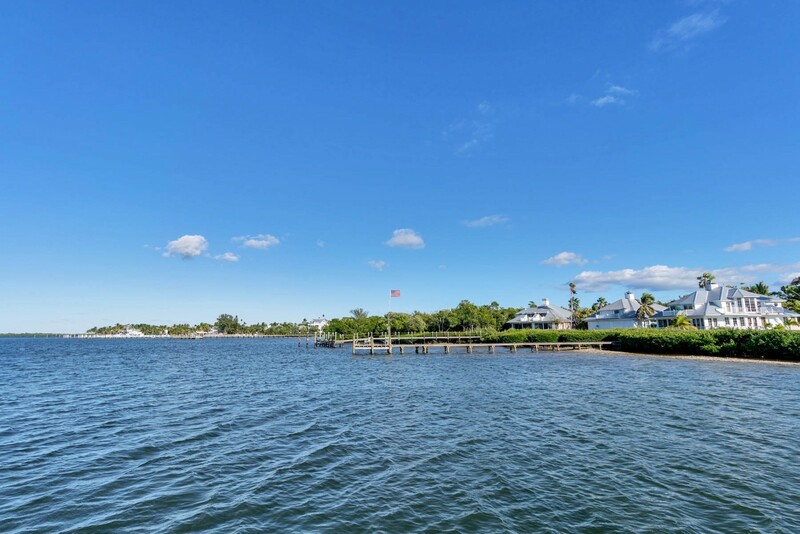 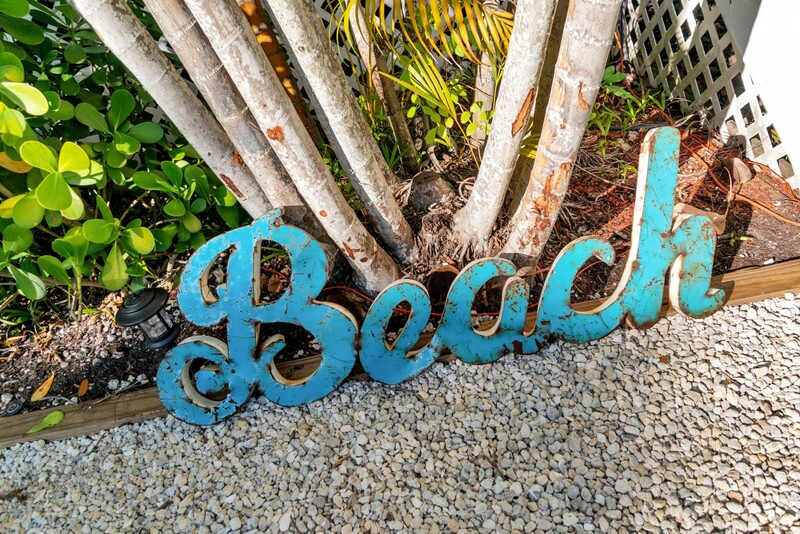 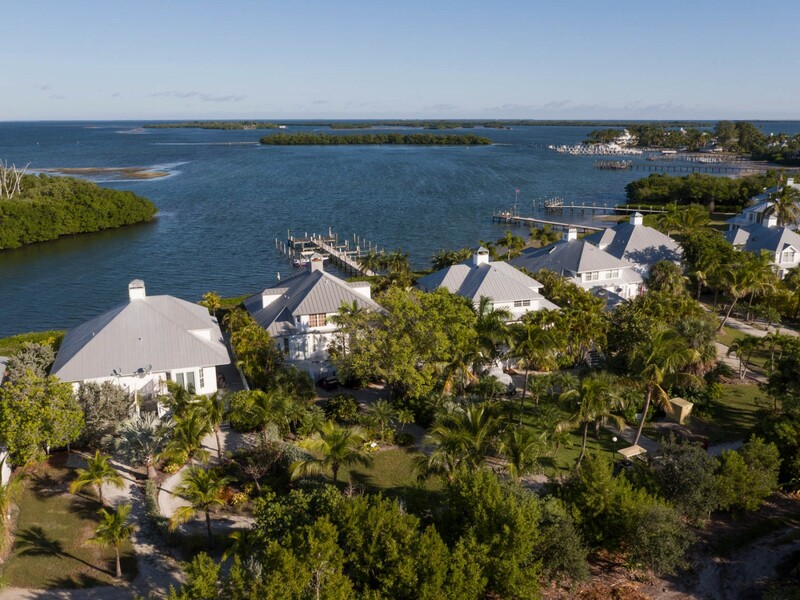 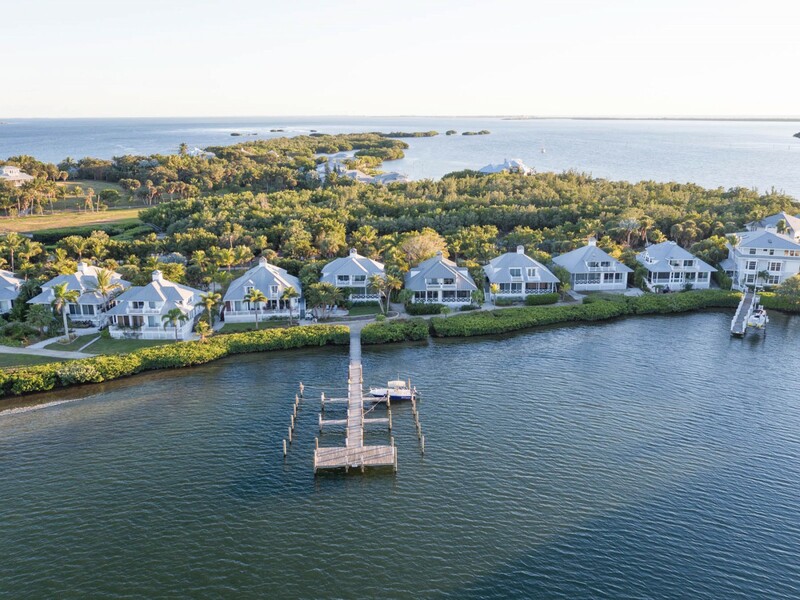 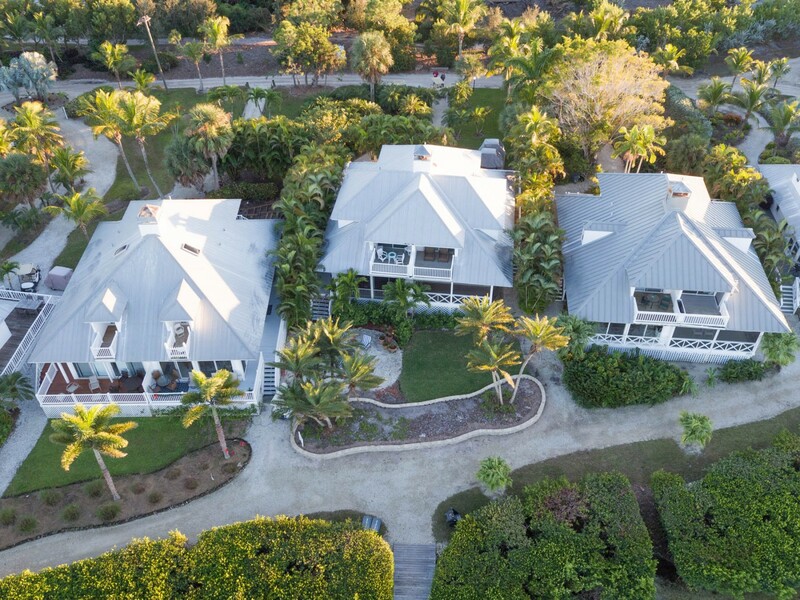 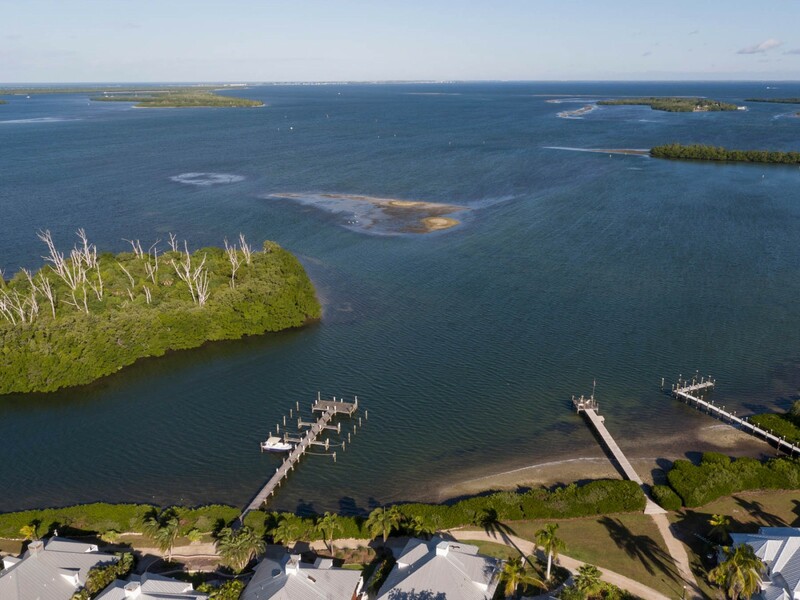 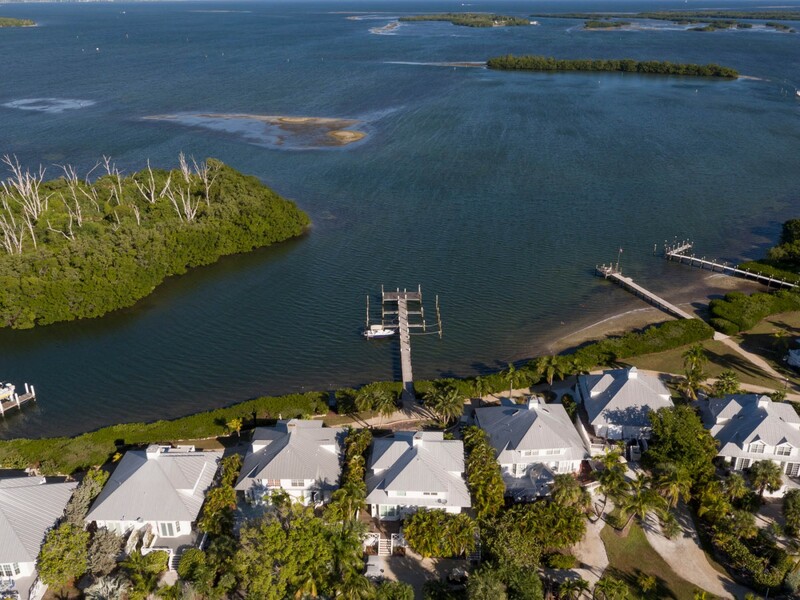 Its waterfront location on Useppa's northwest shoreline offers sweeping water views of Charlotte Harbor and Gasparilla Island and an ongoing performance by the local marine habitat of wading birds, manatees, bottle-nosed dolphin and more. 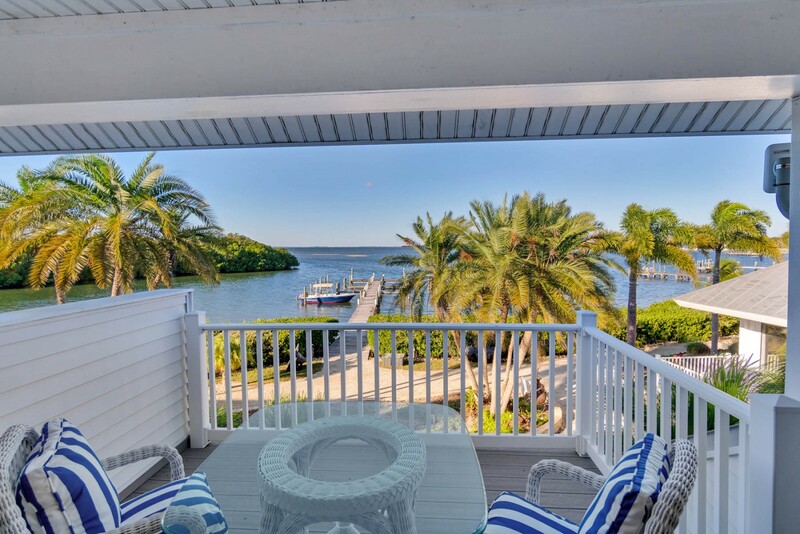 The waterfront is your focus when inside and it's well in view from the living room, kitchen and upstairs master bedroom. 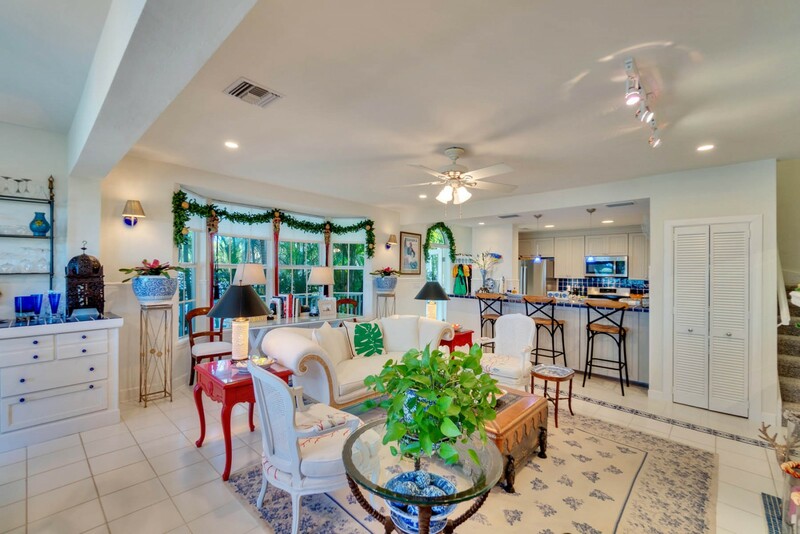 A low-maintenance plastic-decked porch nearly surrounds the villa, offering multiple entries into the home and direct access to the lower level master, through the brand-new French doors. 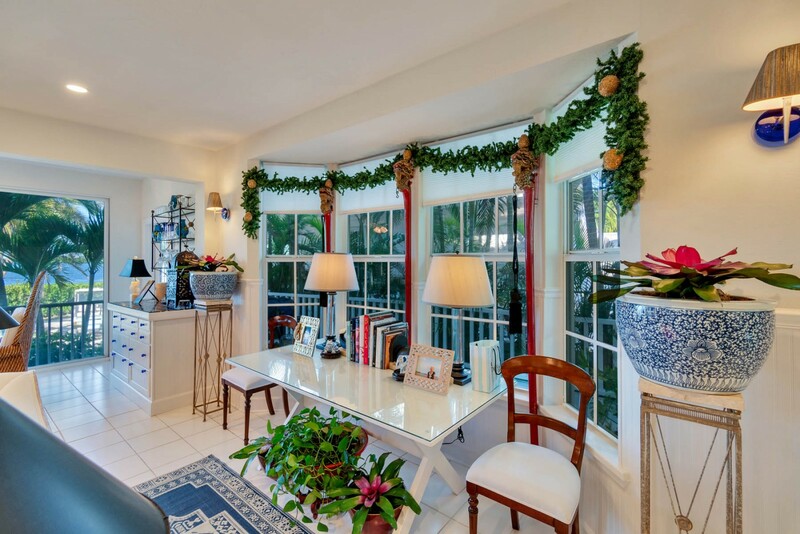 Impact windows and doors throughout create peace of mind during periods of inclement weather. 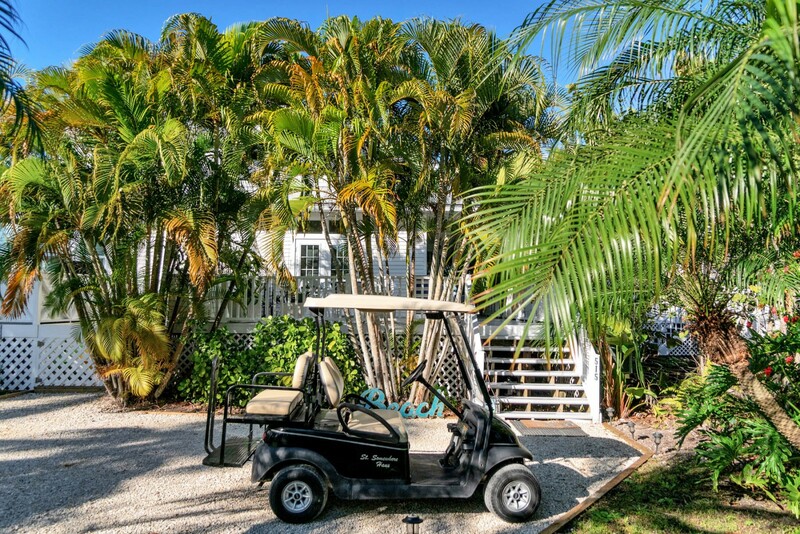 Included in the price are two nearly new Club Car golf carts along with nearly all furnishings and houseware. 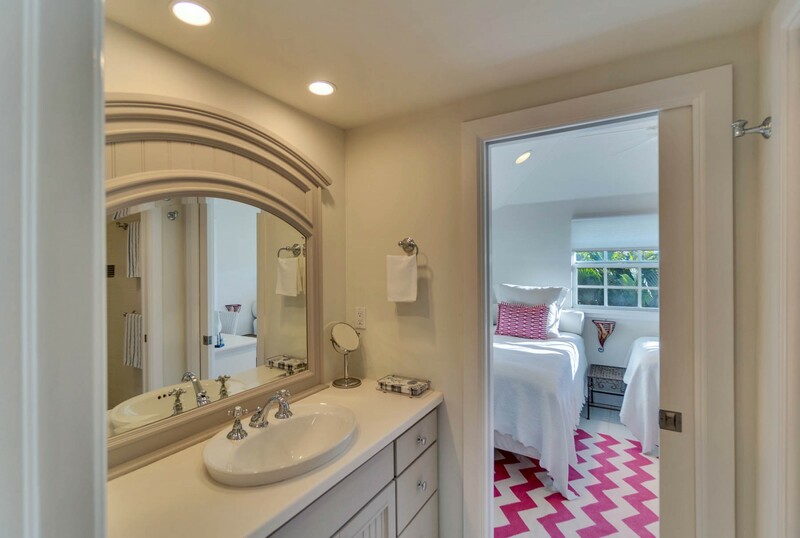 St. Somewhere Haus is a completely turn-key option ready to move into. 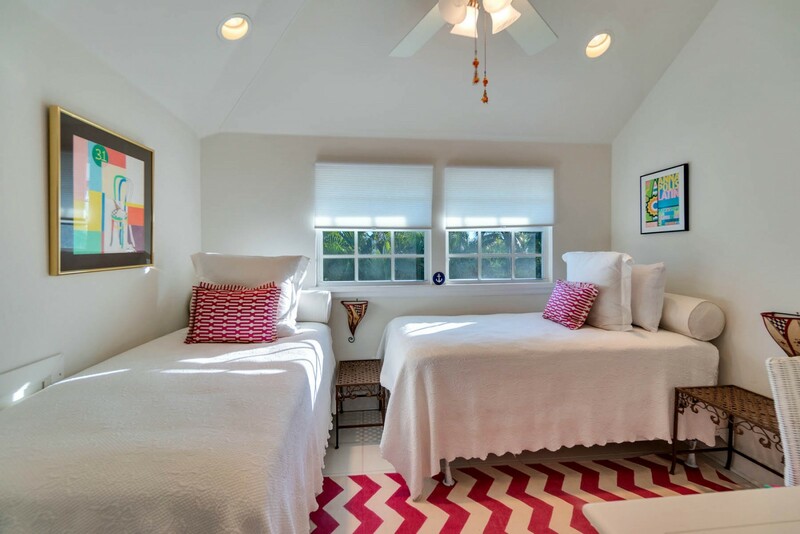 This cottage's floorplan offers its owners the option of having their master bedroom upstairs or downstairs. 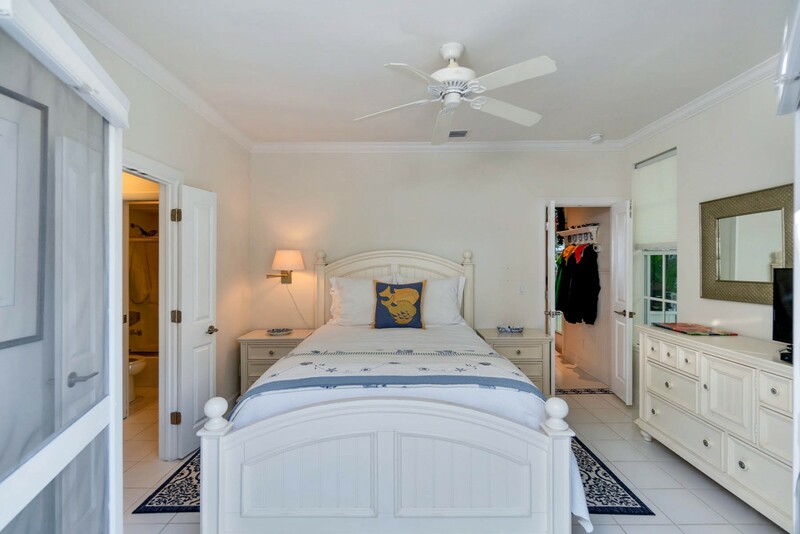 As it's currently laid out, the master is upstairs and features a private waterfront balcony steps from the king-size bed. 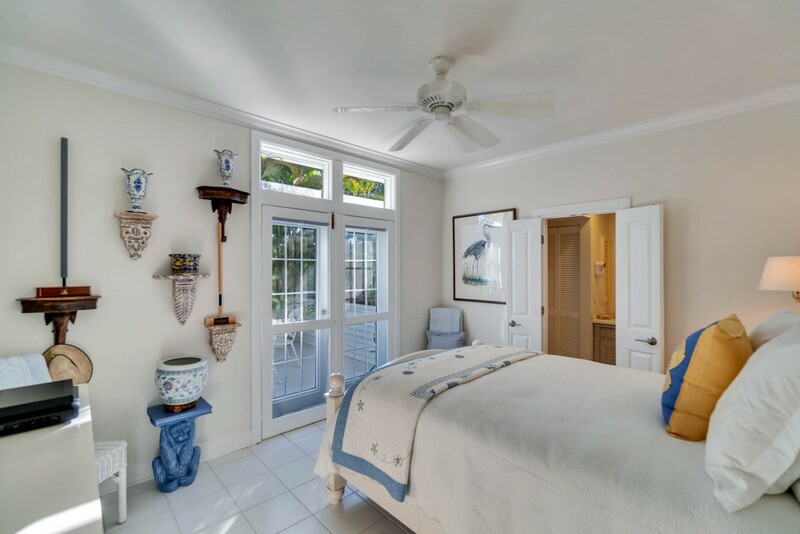 A spacious dormer was popped out of the second floor which hosts an opulent office, adjacent to the master bedroom. 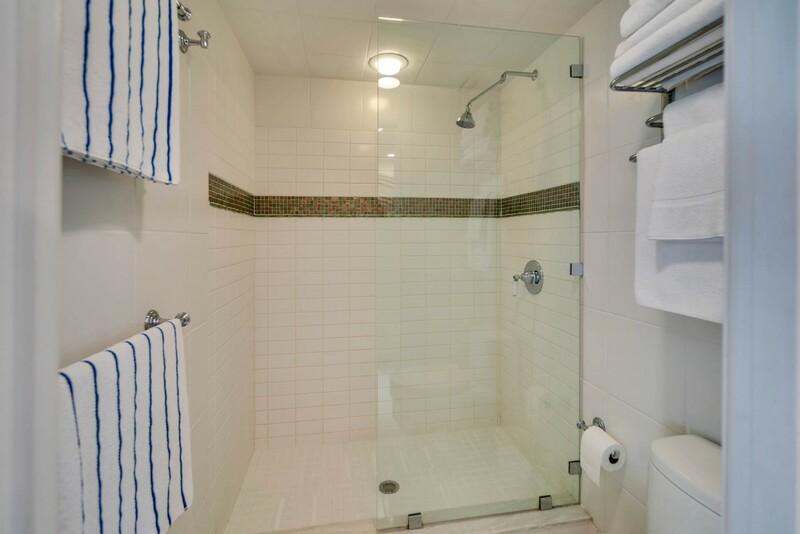 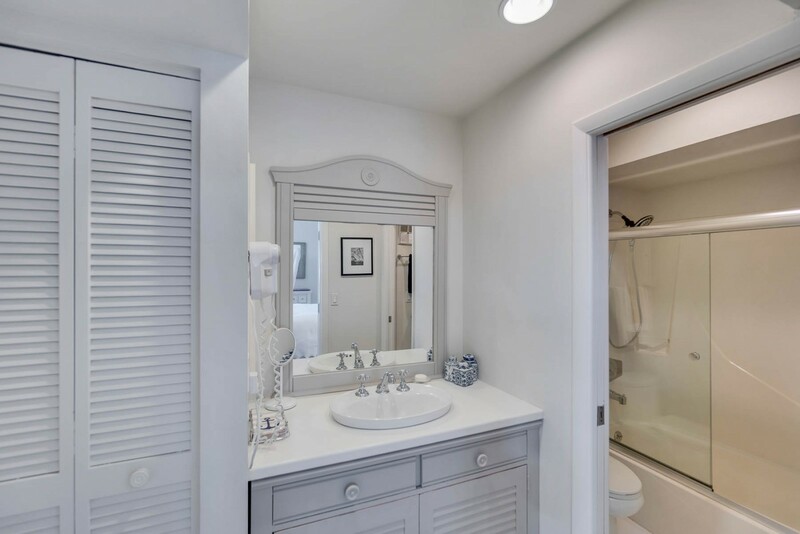 The master bath has had a glass-and-tile facelift, offering a large shower and separate sink and vanity. 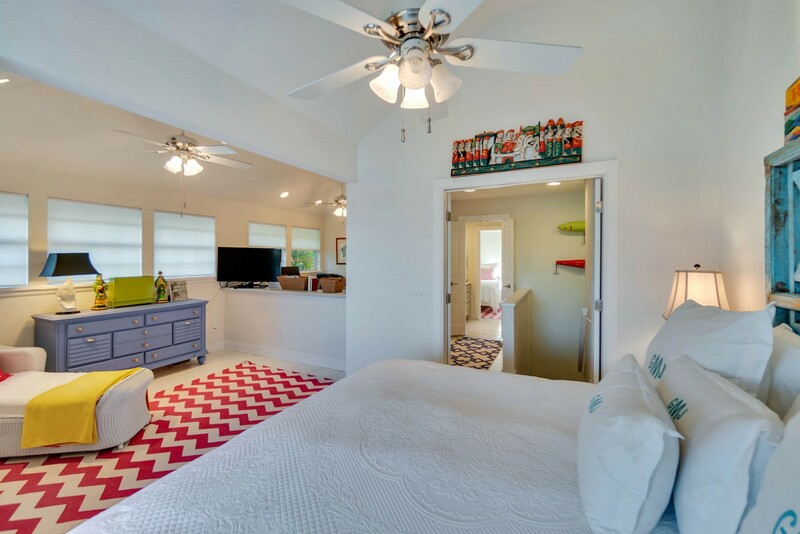 The third bedroom, perfect for kids or guests rounds out the upper living area. 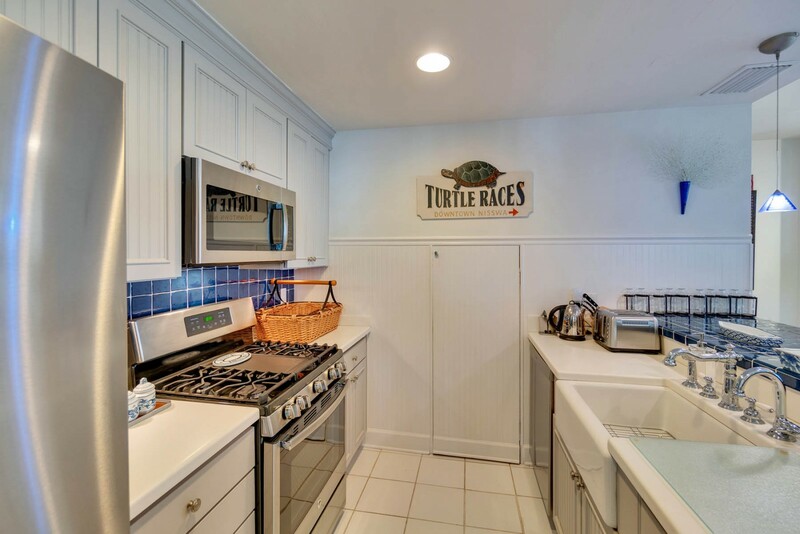 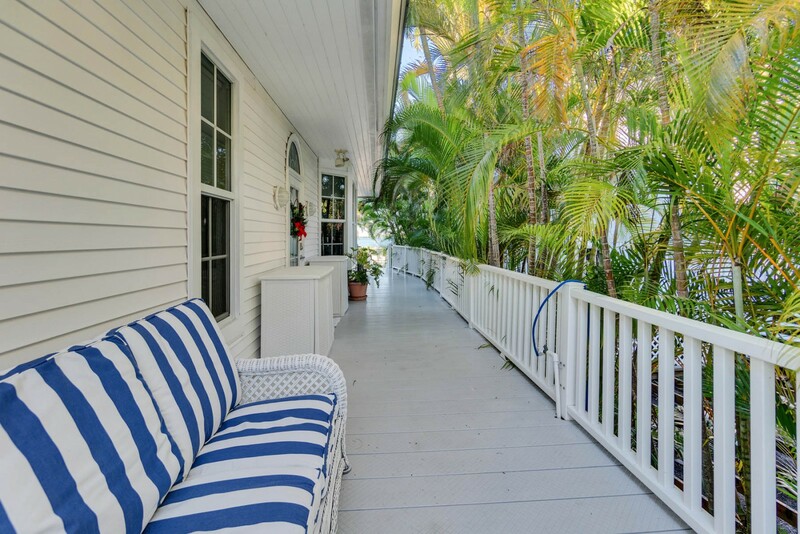 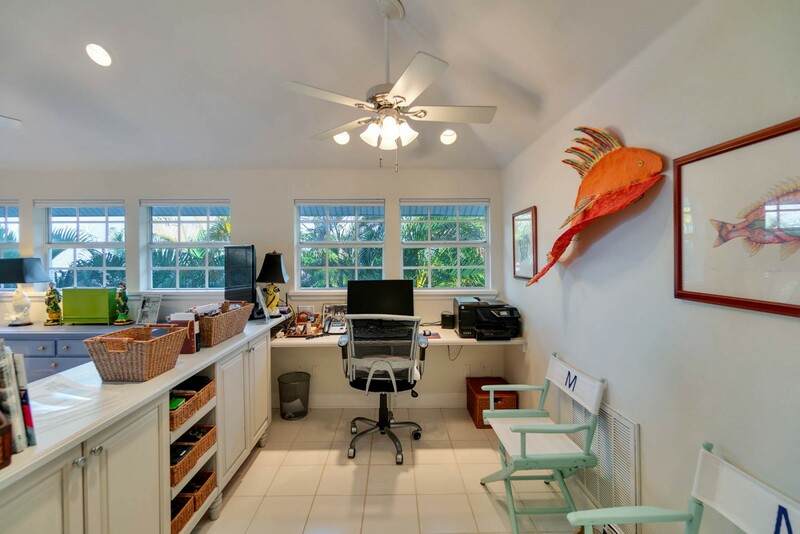 If you want to find a well-priced, professionally decorated turn-key Useppa Cottage with dockage right outside the back door, "St. Somewhere Haus" has what you're looking for and hopefully more.